AHIMA’s Privacy and Security Institute celebrated its tenth anniversary this year with a two-day event kicking off the AHIMA Convention and Exhibit in Baltimore. This event included a lineup of speakers addressing the latest information, trends and cutting-edge technology affecting how healthcare organizations effectively balance privacy and security to protect confidentiality in health information. The Institute’s aim is to improve the management of privacy and security programs, promote the understanding of an ever-changing regulatory environment and to discuss the industry’s hottest trends, issues and best practices. I had the opportunity to sit on the panel for a roundtable discussion on patient access, amendments and fees, as part of the Institute. We took this opportunity to tackle the elephant in the room and answer questions around assessing fees and the many changes affecting patients and providers alike, and to discuss the operational challenges faced today. As a panelist, I was surprised to learn of the amount of confusion regarding the Office for Civil Rights’ (OCR) guidance for personal representatives, especially when attorneys are involved in a request. There is a vast difference between attorneys requesting records as attorneys, and attorneys requesting records as authorized personal representatives. After discussing this topic at length, we ultimately agreed that if there is doubt regarding the intent of a patient’s directive, the best practice is to contact the patient directly to determine their wishes before proceeding. While it is important to give patients and personal representatives easy access to Protected Health Information (PHI), it is more important to ensure records are not released to an unauthorized requester. If you didn’t make it to the Privacy and Security Institute in Baltimore, you can learn more about privacy and security in AHIMA’s Virtual Privacy and Security Academy. The next session, hosted by MRO, will cover Business Associate and subcontractor management, and will be held on December 14, 2016. Please enter your email address below to receive our special promo codes for 15 percent off registration. Bowen is an established author and speaker on healthcare privacy and security. 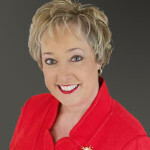 She is an active member of the American Health Information Management Association (AHIMA), having served as its President and Board Chair, as a member of the Board of Directors and of the Council on Certification, and currently sits on the AHIMA Foundation Board of Directors. In her role at MRO, Bowen works with clients to ensure HIM policies and procedures are to code. Additionally, Bowen serves as the company’s Privacy and Compliance Officer (CPO).